(Madera, California) – Valley Children’s is now a member of an elite group of hospitals to receive a fourth Magnet® designation for nursing excellence. Only 71 hospitals worldwide have earned this four-year-long designation four or more times. The American Nurses Credentialing Center’s Magnet Recognition Program® distinguishes healthcare organizations that meet rigorous standards for nursing excellence. This is the highest national honor for professional nursing practice. In April of 2004, Valley Children’s became the first pediatric hospital west of the Rockies to achieve Magnet® designation, which signifies the gold standard for nursing excellence. 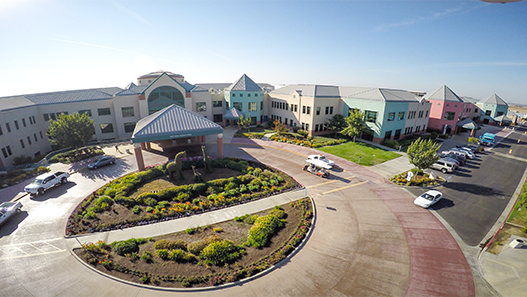 Valley Children’s achieved designation in 2008 and 2014, as well. Research demonstrates that Magnet® recognition provides specific benefits to healthcare organizations and their communities. Achieving this most recent recognition has been years in the making, with 98 requirements and a committed, hard-working interprofessional team gathering data to demonstrate sustained improvements in nursing satisfaction, patient/family satisfaction and patient outcomes. To achieve Magnet® recognition, organizations must pass a rigorous and lengthy process that demands widespread participation from leadership and staff. This process includes an electronic application, written patient care documentation, an on-site visit and a review by the Commission on Magnet® Recognition. When announcing this fourth designation, the Commission on Magnet® Recognition acknowledged Valley Children’s George’s Pass program as an exemplary practice in healthcare. George’s Pass is the only program of its kind in Central California. It’s designed to improve care and ease the hospital experience for children with autism spectrum disorder (ASD), sensory issues (including light or sound sensitivity) and special needs. The program launched in the hospital’s surgical units in 2014 and expanded throughout the entire network three years ago.